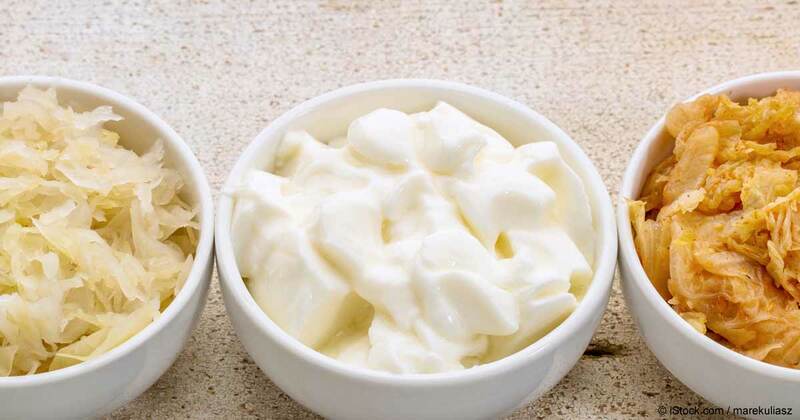 14 Probiotic Foods list | What Are Probiotics Supplement? Who does not want to keep a healthy life? Is there anyone? Of course, ‘NO’ is the answer. Many of us want to live a healthy life but don’t know that there are both good and bad bacteria in a human body. Probiotics are the best of the good bacteria that are active in the body. It’s another name is Helpful Bacteria because they help to keep the body healthy. After taking antibiotics, generally, the good bacteria are lost from the body. At that time Probiotic helps us to regain the bacteria. chocolate and yogurt also contain probiotics. · Balancing the number of good and bad bacteria. · Helping the foods to move through gut. · Keeping the urinary and vaginal health in good state. · Keeping body away from Allergies and cold. · Diarrhea related to antibiotics or infections. Now come to the question. Which foods provide probiotics in the human body the most. Here are some good and proven ideas. This is the way of the unrest people. Some people try to have the necessary food elements from any supplements. This is the easiest way to do so. Now Probiotics are available in the market in tablet, capsule, liquid forms and even in powder. These supplements can be only convenient. They can’t provide you the desired natural Probiotics that you can get from different food sources. If you really want to have Probiotic supplements for your weak immune system, consult a doctor at first. If you think of developing probiotics in your body from any food, Yogurt must be your first choice. It is also one of the mostly taken and popular sources of ‘GOOD’ bacteria which are responsible for keeping a balance in our gut.A number of studies have been conducted on probiotics and the results were nearly the same. It is frequently said that probiotics have the ability to ease the lactose intolerance. Besides, they help to control gas, diarrhea and any type of ill-digestive problems. All these qualities can be found in a good yogurt. If you want to pay more, you can purchase best brands yogurts. Though it is a very popular breakfast in Japan, the soup of Miso has got a universal acceptance. It is a paste of soybean, which is fermented. It has a great capacity to move the digestive system in a positive way. Miso, full with Probiotics, is generally used to cook a type of soup which is salty in taste. This soup has very low amount of calories and very high amount of vitamin B. it also contains a protective antioxidant. As developing the digestive system is the purpose of probiotics, the bread made of Sourdough is undoubtedly a good food to try. This bread is mainly made in San Francisco. The sandwiches made of this beard are the abode of good bacteria that has a very good capability to recover the digestive power. Sauerkraut is another good source of good bacteria that enhances good digestion. This is a salty and sour food. In this regard, you have to keep in mind that the unpasteurized Sauerkraut should be used. The reason is that the pasteurized Sauerkraut, which is available in the market, destroys the good and active bacteria of the human body. Another food Kimchi, a spicy Korean food, is very much similar to Sauerkraut. This food is also full of vitamins which have great power to boost the immune system. This food has a good influence to avert infection. It is another fermented soybean base food. It is mainly made from the base of fermented soybeans in Indonesia. This food creates a certain type of natural antibiotic. This antibiotic can fight against the certain type of bad bacteria. Tempeh is sometimes described as nutty, smoky and similar to mushroom flavored. The food also contains a good amount of protein in it. After marinating, Tempeh can be used as a substitute meal of meat. Another fermented soybean-rich food is Natto. It is basically a Japanese popular dish. Bacillus Subtilis, the highly powerful probiotics, is contained in Natto. The Bacillus Subtilis is a proven friend of human immune system. It also supports cardiovascular health and at the same time, it increases the Vitamin K2 digestion. Nattokinase, a very strong anti-inflammatory enzyme, is also contained in Natto. This enzyme is a proven fighter against cancer. Though probiotic is a digestion friendly element, all probiotics can’t be alive at the end of the journey through the intestines and stomach. A recent study has found that some Gouda like fermented and soft cheeses contain certain strains. This is a very good carrier for probiotics. Thus, taking the cheese will boost your immune system. It is often said that Kefir has been being used from the time of the shepherds of Eurasia’s Caucasus Mountains. At that time they discovered that their carried milk was fermented and turned into a bubbly beverage. This is a tangy, thick and creamy like yogurt has its own capability to produce strains of probiotic bacteria. Kefir also contains various helpful yeasts. This is one of the easiest ways to add probiotics to your diet. In this regard, you have to add some acidophilus milk. This is a bacteria fermented milk. Sometimes, this is called sweet acidophilus milk. Buttermilk is another source good probiotics. This is cultured with lactic acid bacteria. It is well known that pickles are a good source of probiotics. But you have to be careful in choosing the pickle. You should take the pickles where vinegar isn’t used to make it. Water solution and sea salt help the growth of good bacteria in human body. This also provides some sour pickles a number of good digestive benefits. Since ancient time in Eastern Europe, Kvass has been a popular fermented beverage. Rye and barley were used traditionally to make Kvass. In this case, the rye and barley were fermented. But now Kvass is made using fruits, beets, and some other carrot-like root vegetable. Lactobacilli probiotics are famous for its capacity to cleanse the blood and liver. It has also a mild sour flavor which enhances the eagerness to eat this more. Curtido is a cross between Kimichi and Salsa. A wide range of probiotics strains is contained in it. It has also many health benefits like Kimichi. Prebiotics is another ingredient like probiotics. This helps to feed the living good bacteria in the human gut. Prebiotics can be found in the foods like oatmeal, asparagus, bananas, Jerusalem artichokes, honey, red wine, legumes and maple syrup. This is enough to anyone to choose his/her own probiotic rich food from the prescribed foods above. Hi blogger !! I read your blog everyday and i must say you have high quality posts here. here. Your blog deserves to go viral. You need initial boost only.